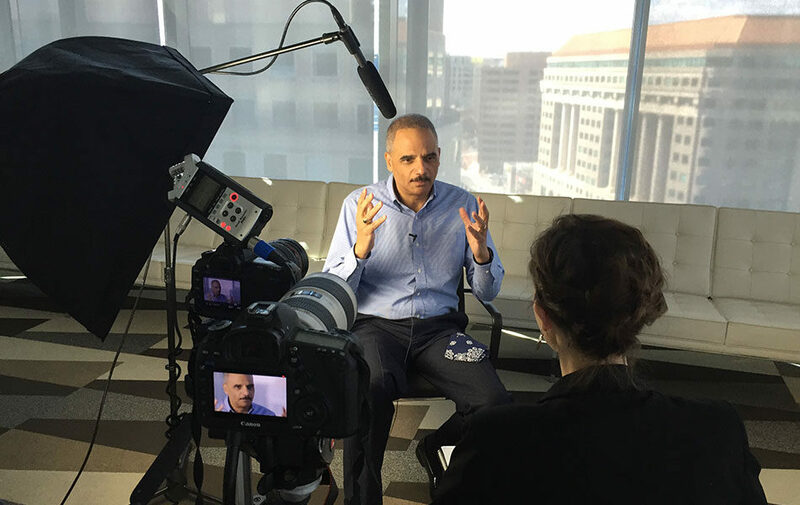 Former Attorney General, Eric Holder, speaking about his admiration for Janet Reno. Photo by production team member, Nick Michael. Janet Reno lived her life with one guiding principle – “do the right thing.” It was a mantra passed down from her mother, one of the strongest influences in her life. In all the research, conversations and pre-interviews we engaged in during this project, “do the right thing” was used to describe how Janet moved through the world, as a child, a teenager, and into adulthood. This idea was a central theme throughout the short film we produced about Janet Reno for Georgetown University’s Center for Juvenile Justice Reform. The goal of this project was to create a short film that offers a glimpse into Janet Reno’s impact on the justice system, particularly as it pertains to juvenile justice and the lives of children and youth. 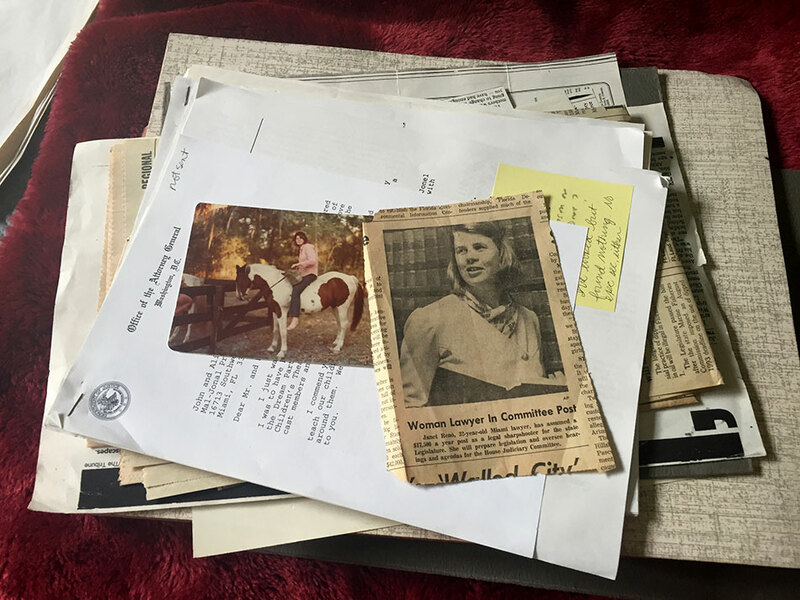 News clippings and papers inside the Reno family house. In our work, we believe that one of the keys to engaging an audience is to give them the feeling that they are experiencing something as it happens. This approach brings them into the story, creating a much more powerful and impactful experience. And one that will move them in a way that just isn’t possible when you’re sitting on the sidelines. This is a challenge with any subject (and why we love what we do! ), but it’s particularly challenging when you’re telling the story of a public figure. Especially when much of the story takes place in the past. How do you tell the story of a public figure without making it feel like the distant past? Archival footage. There are a lot of ways to use archival footage. But in our opinion the best way is to add a level of authenticity to the piece. When we started this project we knew we would have access to public speeches by Janet Reno on C-SPAN and maybe a handful of other events while she was Attorney General, but aside from that we were planning to illustrate the piece with contemporary footage of Miami and Washington D.C. and maybe a handful of old photos. That was until we discovered the wonderful world of the Wolfson Archives at Miami Dade College. This archive contains over 35,000 hours of footage from local TV stations dating back to the 1940s. 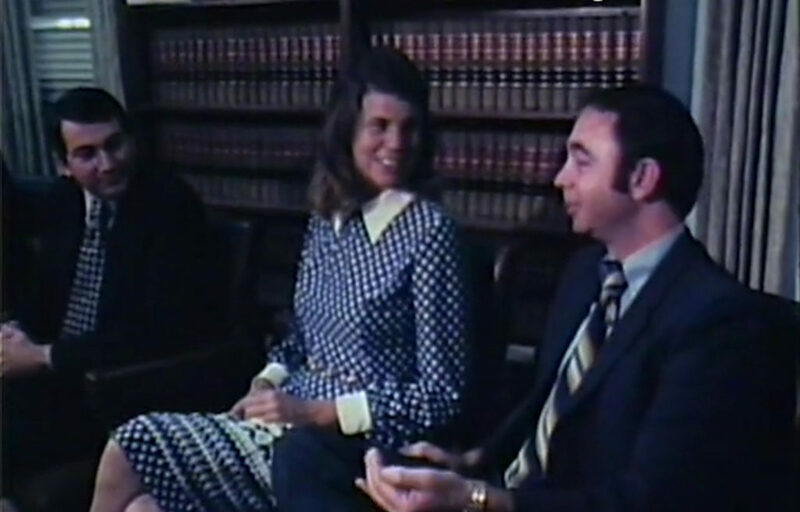 Since Janet lived the majority of her life in Miami (aside from her 8 years in Washington), the archive contains hours of footage of her, beginning with her appointment to State Attorney in 1978 up until the last several years of her life. We set out to find footage that showed glimpses of her personality, the goal being to “humanize” this person that most people only know of through short news pieces that focus on her public persona. Even though we weren’t able to interview Janet herself due to her advanced Parkinson’s, we were able to include a lot of her own words and personality through the archival footage. In addition to giving a glimpse into who Janet was as a person, this footage helped us tell the story of past events as though they were just unfolding. Janet Reno, 38, after being appointed to State Attorney in Miami. In preparation for this piece we talked to a dozen or so of Janet Reno’s colleagues and friends. We can not emphasize enough the importance of this part of the process. In addition to all of the forward-thinking policies and approaches that Janet took during her time in public office, we also learned about the Reno family lore and the important role Janet played in the lives of the people she knew and loved. Everyone we spoke to talked of her love and respect for children and young people, despite not having any of her own. Maggy Hurchalla, Janet’s younger sister, told us that all of their friends had made Janet their next of kin in case they passed away because they trusted her more than anyone with their children. Maggy also told us about Janet’s tradition of dressing up like Blackbeard the Pirate while she told stories around the campfire at family gatherings. Berta Blecke, a close friend and colleague, talked about how Janet talked to children as though they were just as valuable and important as any adult in the room. Eric Holder shared with us that Janet used to have gatherings and invite all her attorneys and their families so she could get to know all of them during her time in Washington. And Shay Bilchik told us about Janet’s uncanny ability to remember all the names of her staff’s spouses and children, an indication of their importance in her mind. 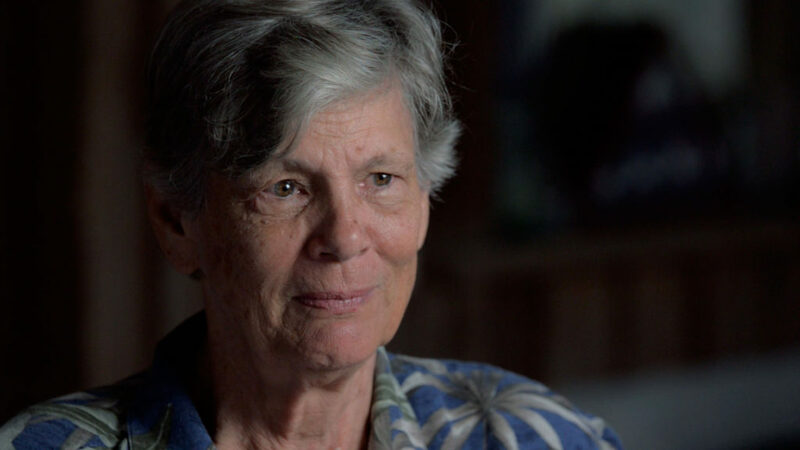 These specific examples and anecdotes, even those that did not end up in the final piece, were crucial in informing our understanding of who Janet Reno was and how best to depict that in the short film. The house built by Janet’s mother, Jane Wood Reno. Another significant piece of Janet’s story is the house she lived in her entire life. When she was a child, her mother built their family home piece-by-piece, teaching herself along the way. This act was not only a means for a place to live, it was a strong symbol to Janet and her three siblings that if you put your mind to something, you can do it. Janet shared this story many times during her work in public service. 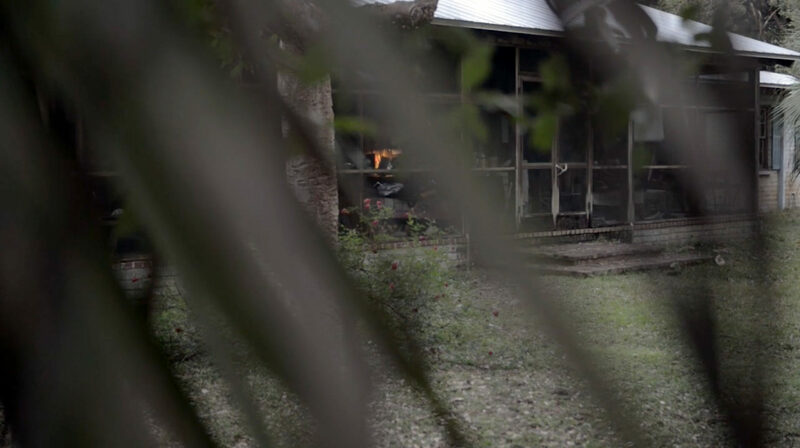 Visiting this rustic house in the outskirts of bustling Miami was a great experience. We sat down with Janet’s sister Maggy and heard story-after-story about the Reno family and their wild adventures. Maggy Hurchalla, Janet’s younger sister. 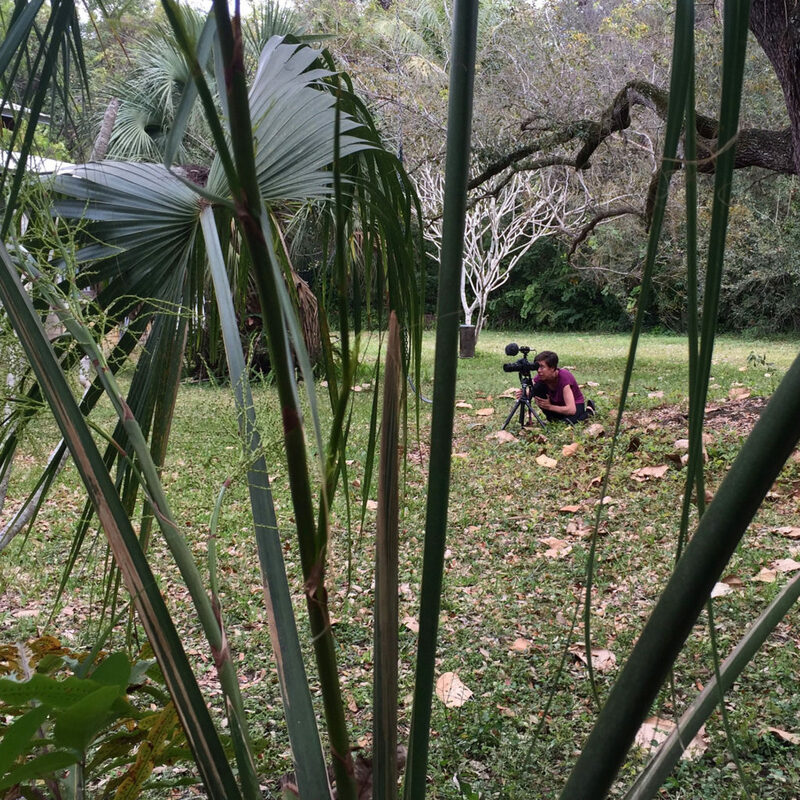 Production team member, Kelly Creedon, gets into the thick of things at the Reno family house. At the end of the visit, we were also able to briefly meet Janet, who was still living in the house her mother built, despite her advanced Parkinson’s. It was a moment we will never forget. You can read more about the Janet Reno Endowment here. Update: On November 7, 2016, Janet Reno passed away from Parkinson’s. We were very saddened by this news, but grateful to have met this incredible woman and learned about her life and lasting legacy.